The Peter G. Peterson Foundation is a self-described “nonpartisan” mouthpiece for the right wing. increases to Social Security and Medicare taxes (FICA). increases to taxes on the middle-income groups. The Foundation continually publishes articles that falsely claim our Monetarily Sovereign nation somehow can run short of its own sovereign currency, and thus, Social Security, Medicare, and other federal “trust funds” are running short of dollars — all untrue. It is 100% impossible for a Monetarily Sovereign entity to run short of its own sovereign currency. Similarly, it is 100% impossible for any agency of a Monetarily Sovereign entity to run short of the sovereign currency, unless that is what the entity wants. Neither the U.S., nor Social Security, can run short of U.S. dollars, unless that is what Congress wants. Period. A federal trust fund is an accounting mechanism used by the federal government to track earmarked receipts (money designated for a specific purpose or program) and corresponding expenditures. The largest and best-known funds finance Social Security, Medicare, highways and mass transit, and pensions for government employees. Federal trust funds bear little resemblance to their private-sector counterparts. In private-sector trust funds, receipts are deposited and assets are held and invested by trustees on behalf of the stated beneficiaries. In federal trust funds, the federal government does not set aside the receipts or invest them in private assets. Rather, the receipts are recorded as accounting credits in the trust funds, and the receipts themselves are comingled with other receipts that Treasury collects and spends. This is all correct. Federal so-called “trust funds” are nothing like state and local government trust funds and nothing like private trust funds. All private sector financing is constrained by one simple fact: The private sector is monetarily non-sovereign. It does not have the unlimited ability to create its own sovereign currency, for the simple fact that it has no sovereign currency. The U.S. private sector (which includes state and local governments) uses the sovereign currency of the federal government. Further, the federal government owns the accounts and can, by changing the law, unilaterally alter the purposes of the accounts and raise or lower collections and expenditures. The federal government owns the accounts and can, by changing the law, unilaterally alter the purposes of the accounts and/or provide additional funding. In the late 1770s, the federal government created the original U.S. dollars from nothing, and today it continues to create dollars at will. Neither the federal government nor the misnamed “Social Security Trust Fund” (or any other federal trust fund) can run short of dollars unless Congress wants it to. The Peterson Foundation, and far too many others, including those in the federal government, have been pretending that to save Social Security taxes must be increased or spending must be cut. It simply is not true. The above is wrong. Not only is it wrong about the supposed need for raising taxes and cutting spending, but it also is wrong about borrowing. Unlike you and me and all other monetarily non-sovereign entities, our Monetarily Sovereign federal government creates unlimited dollars ad hoc, by paying creditors. Thus, the federal government has no need for any kind of income. It has no need for tax income. It has no need to cut spending. And it has no need for borrowing. In 2034, unless reforms are enacted, the Social Security trust funds are projected to be fully exhausted. At that point, Social Security’s receipts will only be sufficient to cover 79 percent of benefits. Benefits will then have to be cut by 21 percent to continue making payments to all beneficiaries. As the article previously said, Social Security “receipts are comingled with other receipts that Treasury collects and spends. This means the receipts cannot be “sufficient” to cover anything. 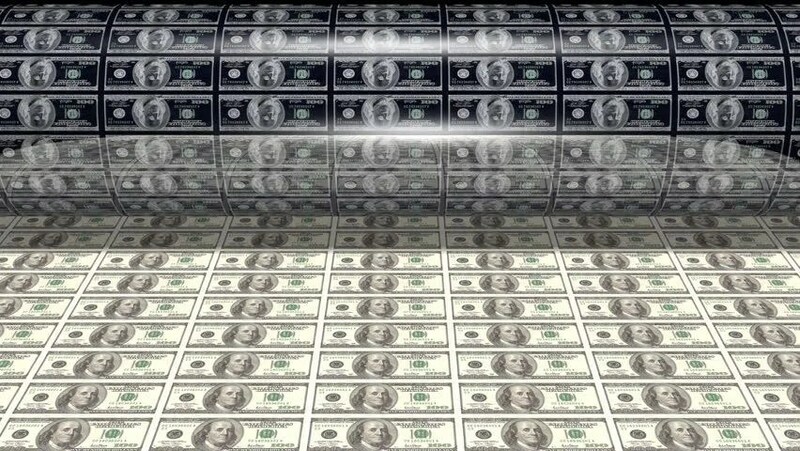 The dollars, once received by the Treasury and comingled, disappear from any money supply measure. They effectively are destroyed upon receipt. Asking how many dollars the Treasury has is akin to asking how many sentences you have. The Treasury creates its dollars as needed, and you create your sentences as needed. Just as the Treasury is Monetarily Sovereign, you are “sentence sovereign.” You never have to ask anyone — via taxing or borrowing — for sentences, and you never can run short. The Social Security Disability program is in worse condition. Its trust fund will be depleted in 2023, and unless its finances are addressed, its benefits will be cut by 11 percent. The Social Security Disability benefits will be cut only if Congress wants them to be cut. In the Medicare program, payroll taxes are credited to the Medicare Hospital Insurance (HI) fund and premiums paid by Medicare beneficiaries are credited directly to Medicare’s Supplemental Medical Insurance (SMI) fund. Unless reforms are enacted, Medicare’s Hospital Insurance Trust Fund is expected to be exhausted in 2028, which will precipitate a 13 percent cut in its payments to hospitals and other providers. The SMI fund cannot be depleted — each year, general revenue contributions are set to cover whatever costs remain after beneficiary premiums are taken into account. SMI, which pays for Part B and Part D benefits, is funded by Congress. It doesn’t rely on a fake “trust fund.” Congress directly authorizes what funds are needed. So you have the ridiculous situation in which, Medicare Part A supposedly runs short of funds, but Medicare Parts B and D do not. And you are expected to believe this?? Ask your Senator or Representative why all of Medicare and Social Security cannot be handled like SMI, with the federal government simply paying expenses. That approach would end all talk of trust funds supposedly running short of dollars. The Highway Trust Fund will be depleted by 2021. In this fund, taxes on gasoline and diesel fuel are credited directly to the Highway Trust Fund, but the fund’s income falls short of its spending. This situation has already precipitated a slowdown of highway and other surface transportation projects as states prepare for a shortfall in federal funding. The same fraudulent situation as with other phony federal “trust funds.” The result: Either infrastructure projects are delayed, not done at all, or are passed to the monetarily non-sovereign state and local governments. Does it get any more outrageous than this? A Monetarily Sovereign government, which has an unlimited supply of dollars, claims poverty and passes spending responsibility to monetarily non-sovereign state and local governments, which are limited in their spending ability. Although many believe that the existence of trust funds guarantees the sustainability of programs in the future, trust funds are simply accounting mechanisms that are part of the way the federal government keeps its books. The actual cash inflows and outflows of the programs are combined with all other federal programs and therefore contribute to federal surpluses and deficits. If a program is in surplus, the federal government’s overall deficit balance improves because it uses the additional receipts from the program to fund costs of other programs. In effect, the government is conducting transactions with itself but keeping track of inflows and outflows of funds through trust funds. Ultimately, trust fund income and outlays are not separate from the rest of the federal budget, and the sustainability of trust fund programs, like Social Security, depends on the overall sustainability of the federal government. That last sentence completely destroys any notion that the fake Social Security “trust fund” is running short of dollars and so, taxes must be increased and/or benefits decreased. The U.S. federal government can “sustain” (i.e. pay for) any amount of expenses because it has the unlimited ability to create dollars. It never can run short. Unlike you and me, and the states, and businesses, and the euro nations, the U.S government is Monetarily Sovereign. It is a lie designed by the very rich, to make you believe you must settle for fewer federal benefits or higher taxes. Isn’t it true that the mere act of passing a Federal law or regulation to do work or buy a service deficit spending means that the work is already paid for at inception. There is no need to have money set aside, like a bond to cover the expense. It’s already paid for. No, passing a law doesn’t pay the creditor. To pay a creditor, the government sends instructions to the creditor’s bank, telling the bank to increase the balance in the creditor’s checking account. At the moment the bank obeys those instructions, new dollars are created and added to the M1 money supply. The Fed then always approves the transaction. That is how the government creates dollars. I didn’t intend that passing a law actually paid the creditor, but that passing a law set it in motion. That is, it is the first thing in the chain you describe. Legitimising it is a rubber stamp from then on.